We have been informed of a change in the venue for HE Ayang Rinpoche’s Toronto teaching. Seating and lodging are limited. Early registration is recommended. Final teaching and travel dates for the remainder of 2009. 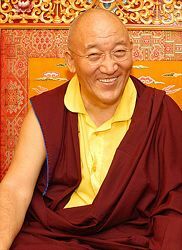 PLEASE NOTE: Ayang Rinpoche has advised that he has extended Drubchen to May 24. 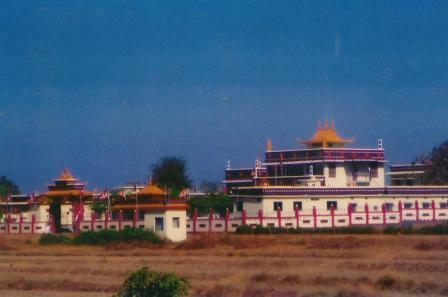 Amitabha Thungdrub (1 Billion) Drubchen will be held at Ayang Rinpoche’s Dechen Choeku Ling Monastery at Mundgod, South India May 7-22, 2009. 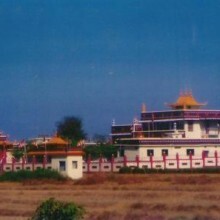 Every year at this monastery a Thungdrub Drubchen is performed of the Dharmakaya Amitabha, Sambhogakaya Avaloketeshwara or Nirmanakaya Guru Padmasambhava, taking turns each year. This year Ayang Rinpoche will lead the Dharmakaya Amitabha Thungdrub by giving teachings on the 10-Levels Amitabha teachings to the public and also reciting 1 billion Amitabha mantras during the Drubchen.